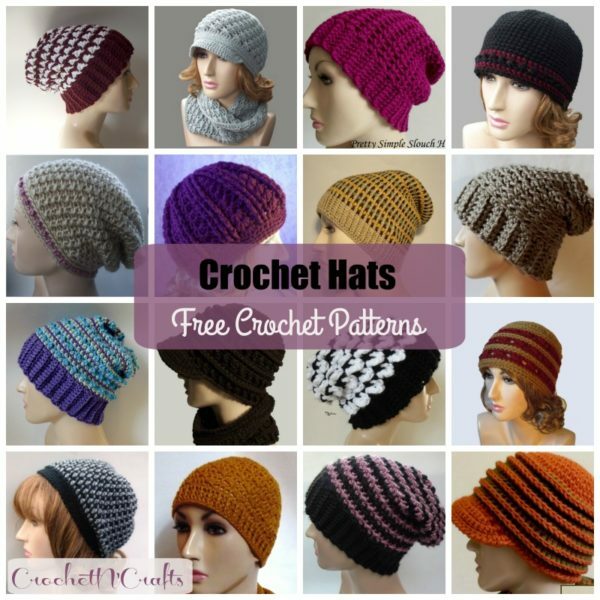 Free Beanie Hat Crochet Pattern with a Pom Pom. I love patterns that are easy to adjust to any size that you need, and this is another one of those. 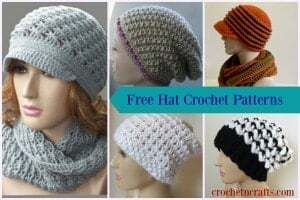 The crochet hat pattern is given in a simple multiple of two. It’s started at the brim, which can be crocheted in any even number of rows until it reaches comfortably around your head. Then simply continue in the rounds until it’s long enough to reach over the head. It’s a pretty and cozy hat, making it great for everyone from baby to adult. And if you’re looking for a cozy cowl to go with this hat, check out our collection of crochet cowls. And it’s even got a cool pom pom, which is totally optional, but it does add a lovely touch. Here is a short tutorial on how to make a pom pom. Gauge: 1″ over 4 sts. Finished Size: Laying flat it measures 9″ across by 8.5″ high. 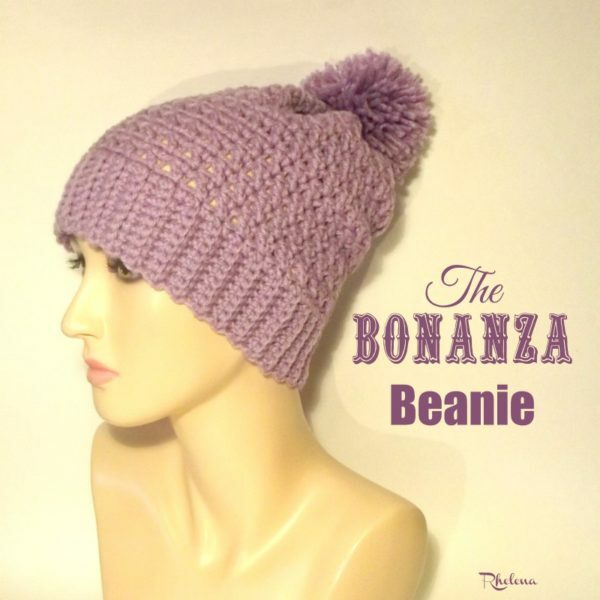 The bonanza beanie is also available on Ravelry, Craftsy and Etsy as a $2 PDF.